Many organizations have already embraced Telehealth and are continuing to expand upon and refine their existing programs to deliver high quality care through technology and innovative approaches. Others are quickly following suit and planning to develop and implement their own Telehealth platforms. Telehealth is at the forefront of today’s healthcare, and it is rapidly transforming the way traditional healthcare delivery is provided. According to recent nationwide studies, telehealth achieves value-based patient driven care, enhances patient satisfaction, engagement and outcomes, and reduces healthcare spending. Telehealth has removed barriers to accessing quality healthcare at the right place and time, is convenient, improves outcomes, and reduces unnecessary healthcare spending. Telehealth and Virtual Care is evolving at a rapid pace and is facilitating changes in reimbursement and policy. 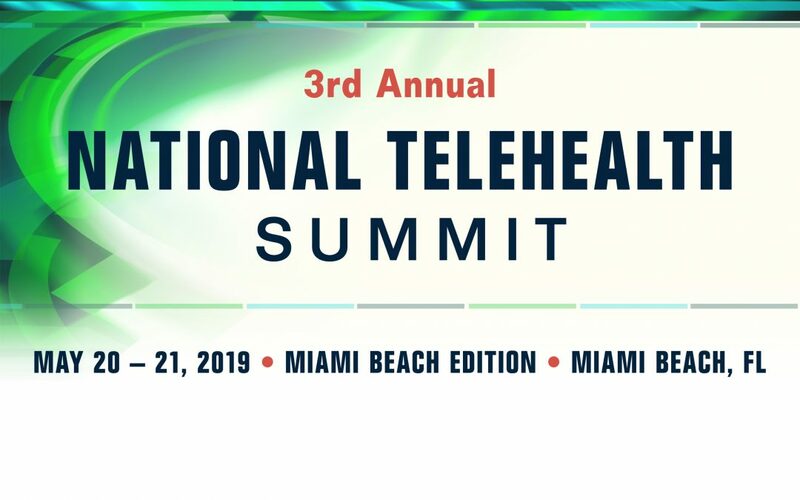 This is the only conference on Telehealth that will equip you and your organization with innovative practices, case studies and tools to succeed with implementing telehealth programs, expanding existing platforms, while reducing healthcare costs and improving patient outcomes. This session will explore necessary steps in launching a successful Telehealth platform, beginning with defining success for your organization and what can the platform do for you and your patients? The talk will also discuss identifying and overcoming barriers to success, developing and implementing effective strategies, and identifying the right people and operations for execution. The talk will also explore how to optimize quality and patient experience, and lastly, discuss the future of Direct to Consumer Telehealth. Medicine is changing faster than ever in a technology infused and consumer centric culture. Health systems and clinicians are thinking outside the box to provide quality care when and how the patients need it. Patients of all ages demand their care be accessible, affordable, and simple to navigate. This presentation will explore SSM Healthcare’s journey to patient centric virtual care. Practical insights and real life examples of engaging patients and providing a more meaningful experience for the care team will take center stage. Telehealth, virtual care… you pick the name… It used to be considered a novelty. It’s 2019 and, despite tremendous advancements and all the hype, the struggle is still “real”. At Ascension, one of the largest non-profit health systems in the US, with 2,600+ sites of care in 21 states, 151 hospitals, 156,000 associates, and 34,000 aligned providers, the challenges are greatly magnified. This presentation will share adoption and operational strategies being employed to scale and optimize virtual care and digital technologies across this incredibly complex system. The United States has an aging population. For those age 65 and older, there is a greater need for critical care services, and there is also a growing shortage of critical care providers. Finding novel ways of utilizing existing resources to provide high quality care to larger populations is essential for filling the gap found between demand and availability of these highly trained providers. Emory Healthcare took on the challenge by developing a program providing real time surveillance monitoring and immediate access to intensivist guided interventions via a remote tele ICU platform. This solution has yielded better outcomes for patients, families and staff in ICUs in rural communities, and the Emory eICU Center also demonstrated an associated decrease in Medicare spending for the patients they served. Burn out in critical care providers is on the rise and seeking potential solutions to ensure retention of those valuable clinicians is extremely important. This session will also discuss how Emory decided to “Turn night into Day” by relocating clinicians to the other side of the world so they could provide night time care to Emory eICU patients during day time hours in Perth Australia. Can telehealth generate cost savings for your health system? What does it take to turn many small telehealth pilots into an enterprise-wide operational model? Nemours Children’s Health System is an internationally recognized children’s health system that owns and operates two freestanding children’s hospitals and also offers care at more than 90 locations spread throughout five states and now can provide that care virtually via Nemours CareConnect. Nemours was among the very first pediatric health systems to offer direct-to-consumer telehealth. The system released two published studies analyzing the cost benefits of telehealth. The first, a retrospective data analysis of visits conducted on Nemours direct-to-consumer telehealth program, Nemours CareConnect, demonstrates how telehealth creates a new funnel of revenue for the system. The second study focuses on the decreased costs and wait times associated with Nemours’ telemedicine sports medicine program. This presentation will review the results of these studies and will discuss how CareConnect has been scaled across a pediatric health system - leading to high patient, family and provider satisfaction. While provider organizations have placed considerable emphasis on using telehealth to reach patients beyond the four walls of the hospital, telehealth initiatives present numerous opportunities to virtualize and streamline care for patients within and across a health system. NewYork-Presbyterian has invested in a robust telehealth infrastructure to more effectively treat patients within its 10 hospitas. This session will discuss the considerable efficiencies gained through virtualizing inpatient and outpatient care. The talk will review how NYP’s virtual programs have transformed emergency care, inpatient consults, medication reconciliation, and patient observation across the enterprise. This will be a presentation will discuss an enterprise wide approach to how Thomas Jefferson University Hospitals engaged telemedicine, including an overview of the JeffConnect program and how it was initially positioned compared to where it has presently evolved. The talk will debunk the myths of why telehealth/telemedicine will not work, and also review the evidence gap that exists in telemedicine literature. The presentation will also explore common use cases at Jefferson, telemedicine training and level setting, webside manner, the physical exam and the business model. The Panel of experts from leading hospitals and health systems will share their perspectives on how to transform care delivery utilizing Telehealth and innovative approaches. The Panel Discussion will explore innovative telehealth platforms, how to view Telehealth as a conduit for continuity of care, and integrating Telehealth into primary care. Building telehealth solutions is clinical transformation and necessitates the use of multiple technologies. When delivering telehealth services at scale, one must consider carefully which technologies to utilize and in what architecture. This session will discuss the Virtual Health System that Providence St. Joseph Health has built to deliver their telehealth solutions to over100 sites. Session topics will include how to navigate and utilize multiple technologies, the pros and cons of different technology strategies, and understanding the challenges of large scale telehealth networks. This talk will cover legal and policy issues regarding emerging care delivery technologies that have developed in the healthcare arena over a approximately the past decade. Topics covered will include telemedicine, remote monitoring, and other innovative procedural devices, healthcare software/applications (including clinical decision support systems and mobile medical apps). Recent changes in Medicare reimbursement policies and an overview of state telemedicine laws will be reviewed. In the past four years, video visits at UCSF have gone from an unutilized opportunity to a widely adopted, routinely used clinical tool. Video visits are available to patients in over 100 primary and specialty clinics and occur over 85times per day. This session will describe the path taken to achieve this success, including team structure and governance, implementation strategies and tools, as well as metrics used to identify both accomplishments and areas for improvement. The University of Kansas Medical Center, Center for Telemedicine and Telehealth, has been providing school-based telehealth since 1997. At that time it was implemented in urban Kansas City, Kansas where many school-aged children were underserved in their health care needs and experienced many barriers to receiving health care. School nurses’ offices were equipped with telehealth technology and could connect with pediatricians and mental health specialists at the medical center during the school day. Later in the early 2000’s, rural Kansas school districts were similarly outfitted and could provide care with an adapted model that utilized local health care providers. In this presentation, operational, financial, and technical issues will be addressed. Current Kansas initiatives and examples of other school based programs around the United states will be provided, as well as lessons learned and suggestions for how school-based telehealth can integrate with a health system or community health center business strategy. In a 2013 report, the Association of American Medical Colleges Center for Workforce Studies estimated the ratio of neurologists to patients in Tennessee to be 1:28,567. To address this state shortage, Vanderbilt University Medical Center (VUMC) implemented a teleneurology consult service in 2014. This presentation will discuss how using iPads linked through a HIPAA-compliant, secure network, VUMC neurologists perform real-time video examinations on patients in eleven community-based hospitals. Images are uploaded and viewed in Jenesis, a medical image storage and transfer application developed at VUMC. The talk will review how Teleneurology provided via low-cost tablet technology, and is an effective way to elevate the level of specialty neurologic care provided in community hospitals, enabling most patients to remain closer to their homes and families. Through the Integration of scheduled video visits into primary care practices, Spectrum Health was able to provide direct and convenient access to primary care providers for patients with chronic conditions. This presentation will discuss how Spectrum Health providers are able to follow up and manage care with established patients for chronic disease while the patient remains in their home to access care. We have added remote patient monitoring technology to further the impact that the program has. In 12 months the organization have increased from one practice to 20 practices with a plan to scale to all of primary care. Of the 90,000 virtual visits that Spectrum Health has conducted, this work is the most transformative. Mental disorders are common and they are associated with high levels of distress, morbidity, disability, and mortality1. Many people with these disorders do not have access to psychiatric services due to the shortage and maldistribution of psychiatrists. This has resulted in patients going to hospital emergency departments (EDs) to seek services, resulting in long lengths of stay (LOS) and boarding of psychiatric patients in EDs. The North Carolina Statewide Telepsychiatry Program (NC-STeP) provides telepsychiatry services in hospital emergency departments to individuals experiencing an acute behavioral health crisis. This session will explore the demonstrated benefits of using telepsychiatry in mental health settings, and how to identify the infrastructure needs to implement telepsychiatry services on a statewide level. The talk will also review how North Carolina Statewide Telepsychiatry Program (NC-STeP) is addressing problems in areas of access to quality mental health services. • How to understand your market, including engagement channels and their interrelationships (patients, providers and communities). • How to put together an analysis of macro trends, patient trends and healthcare competitor trends. • How to perform a comprehensive reimbursement analysis and to optimize reimbursements. • The best ways to receive feedback from patients and their families on their telehealth experience, what works and what challenges they faced. • Innovative and creativity can enhance the success of your telehealth program. • How to structure an outsourced agreement with a third party telehealth provider to ensure high quality, performance measurements and the most market competitive pricing is being provided to your organization. • How data analytics is critical to the on-going success of your tele-health program, and the insights and strategy are in your data. • How to create a focused tele-health strategy for your organization. The session will also share examples of how organizations are taking a strategic approach to telehealth implementations and the innovative examples that it is being used today. Lisa Miller is the nation’s leading healthcare consultant. She is a trusted advisor to hospital leaders on operational strategies within technology, telehealth, margin improvement and the patient experience. Since founding VIE Healthcare® Consulting in 1999, she has become a recognized leader in healthcare operational performance improvement. Lisa and her team have generated over $620 million in financial improvements for their healthcare clients. Spanning 28 years, Lisa's successful business career has included sales and management positions with leading international healthcare and medical companies. This invaluable experience has refined her finance and operational abilities in the healthcare sector. Lisa’s passion is creativity and innovation which unlocks the doors to break through success and is the fuel for financial and operational transformation. Lisa is the creator of Patient Journey Mapping, an effective qualitative approach for visualizing a patient experience across channels and touchpoints for clinical, operating and financial improvements. Lisa has also developed proprietary technology in healthcare data optimization for financial improvement and a technology app that increases patient satisfaction through front line driven insights and innovation from patients and their families. Lisa graduated with a Masters in Healthcare Administration from Seton Hall University in New Jersey. She was nominated to Upsilon Phi Delta; the National Honor Society for Healthcare Administration and has served as the President of the Seton Hall University Chapter of Upsilon Phi Delta. She is the author of the upcoming book ‘The Entrepreneurial Hospital’ being published by Taylor & Francis. AngioScreen®, the unique process of integrated vascular disease screening, is an easy-to-take, non-invasive screening lasting 10 minutes providing immediate information about circulation, risk of heart disease, stroke and AAA. Key tests include: ultrasound of left and right carotid arteries, ABI, EKG, BMI and abdominal aorta ultrasound. An instant one-page color printout and digital record is provided post screening along with a consultation and educational booklet. AngioScreen® is licensed to hospitals as a community and occupational preventative health and education outreach program. AngioScreen® identifies previously undetected conditions and encourages participants to enter mainstream medicine for follow-up patient care. FREE for Conference Attendees! Yorktel (www.yorktel.com) is a leading global, cloud platform and managed services provider for healthcare communications. Yorktel’s Univago HE Telehealth Platform enables customers, on one universal platform, to successfully integrate secure, reliable 2-way audio video into all patient/clinician interactions, with unique workflows designed to fit any patient engagement, safety or assessment need. For more information, visit Yorktel online at http://www.yorktel.com. Follow Yorktel on Twitter: @yorktelcorp. Cancellations received 4 weeks prior to the event will receive a refund minus the administration fee of $225. Cancellation received less than 4 weeks prior to the event will receive a credit to a future event valid for one year. All cancellations must be received 4 weeks prior to the first day of the event in order to receive a refund minus a $225 administrative fee. All cancellations less than 4 weeks prior to the first day of the event will be given a credit to a future event which is valid for one year. Your registration may be transferred to a member within your organization up to 24 hours prior to the first day of that event. All BRI Network events are subject to change and we reserve the right to alter all programs without prior notice.